A cost efficient fixing for flexible use in non-cracked concrete and is suitable for pre-positioned and push-through installations. ETA approved. Fischer FXA Throughbolt 12 x 106mm (20 Pack) is rated 4.7 out of 5 by 9. Rated 5 out of 5 by Mcn_selfbuild from Strong bolts,ideal! I purchased these to replace Hilti bolts for a timber frame extension. Strong and long to hold multiple studs. 10mm drill and knock in, job done. If you search the internet you’ll find better specs for all the different sizes of through bolts. Rated 5 out of 5 by MichaelSouris2 from Quality bolt Work perfectly. 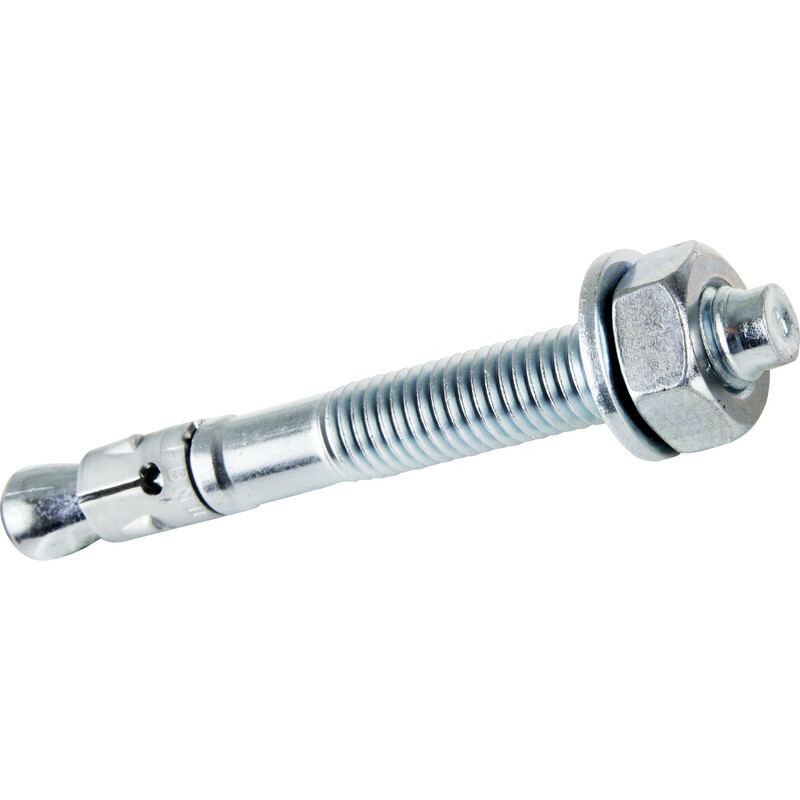 end of bolt has a reduced diameter so that you can hammer it in and still remove the nut / washer after. Tip: drill dimensions, socket size etc. are on the box label. Rated 3 out of 5 by Madmitch10 from A bolt from the blue Mostly does the job but 4 out of 20 failed. The hole must be very tight and not in soft material.